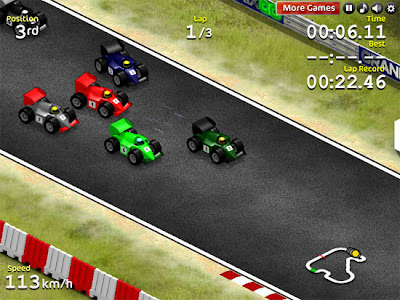 Grand Prix Go is a fast paced isometric car racing game. Race round 12 unique tracks against 9 other cars, unlocking 72 achievements as you go. Use advanced car physics and upgrade your car as you battle your way through the different race series. This game is free to play. Use arrow keys or WASD to steer, and X or N to boost (when available). Press SPACE to quickly reset the car if you crash. Finish in the top 3 to unlock the next race and use prize money to upgrade your car.